I felt pretty smug on Saturday when I finally managed to alter a vintage dress I bought a couple of months ago. For me fit has always been a downside of buying vintage - I’m capable of altering things, but actually getting around to it…. I have a half finished dress that’s been hanging in my studio for 18 months now! However having watched the Stacey Dooley programme about “Fast Fashion” the other week I decided I need to make more effort, and buying more vintage clothes with the aim of altering them if necessary is the way forward. I recently had a huge charity shopping spree (I spent well over £20 folks!) and snapped up a selection of “new” items for work (teaching in an art department means you can’t be too precious about what you’re wearing) and had so much more fun than I would buying mass produced clothes on the high street. A step up from a charity shop of course is a vintage store - pricer but generally a far better selection (and still cheaper than most high street shops!) - Atomica in Croydon has become a favourite for me over the last few months and I’ve bought a few dresses there now (although on Saturday I bought a 70’s bedsheet to make something from instead - it’s fab: very pink and very floral!). Then of course there’s my old faithful denim jacket which I wear all the time - it was £8 in a chairty shop on The Moor in Sheffield, in 2009…. so it’s vintage but still going strong! If you have any recommendations for places I should be checking out do let me know! I always seem to end up going off on a bit of a tangent and playing with different ideas in these last couple of weeks before the summer holidays. Probably because business tends to be pretty slow, but at the same time I know I don't have much time left before commencing 6+ weeks of juggling! This year has been no exception, and last week instead of working on things I actually needed to do (!!) 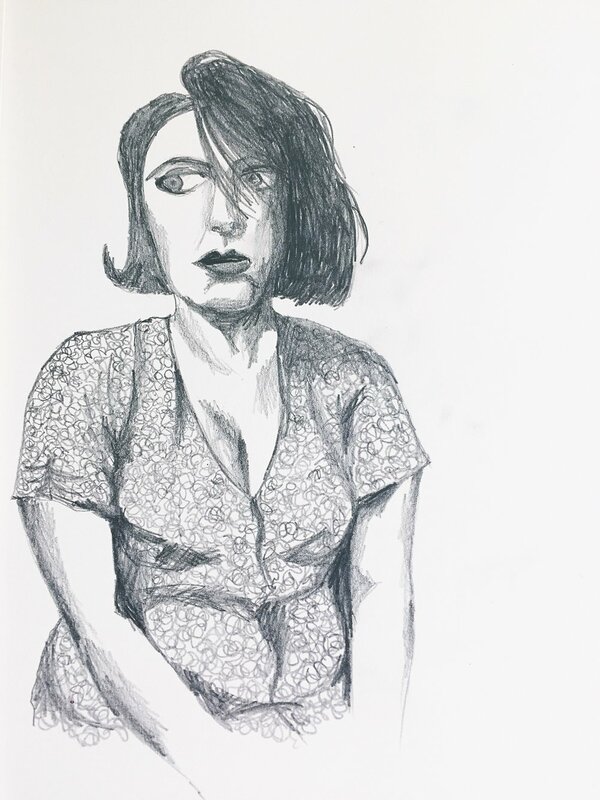 I started a series of little drawings of ladies from magazines, as you do... Not sure if these will lead to anything else but they were certainly fun. Also a nice way to prove to myself that I haven't forgotten how to draw things that aren't buildings! 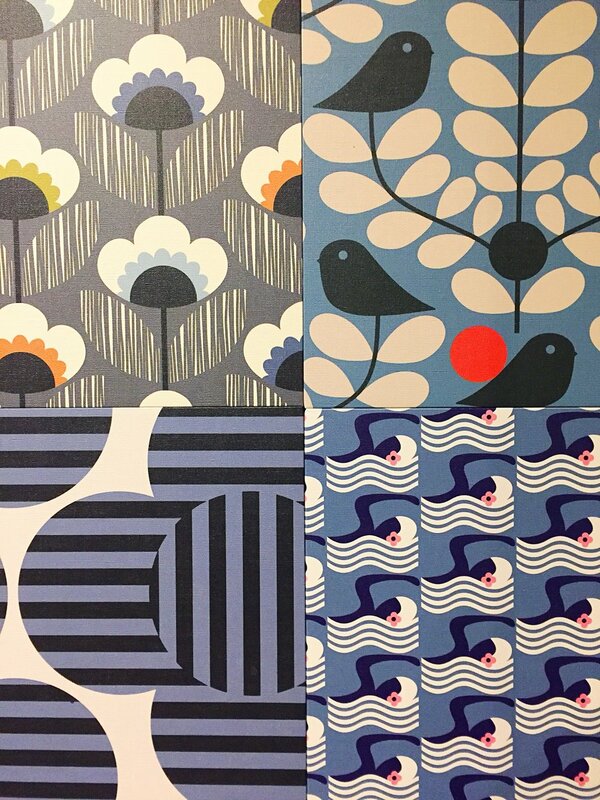 Like many people I ADORE Orla Kiely... I'd been excited about the exhibition at London's Fashion & Textile Museum ever since I found out about it last year and I booked my ticket months ago! And I'm pleased to say it didn't dissappoint - the only alarming thing being the realisaton that I've owned rather more Orla Kiely things over the past 20 years than I'd realised (my poor bank balance!). 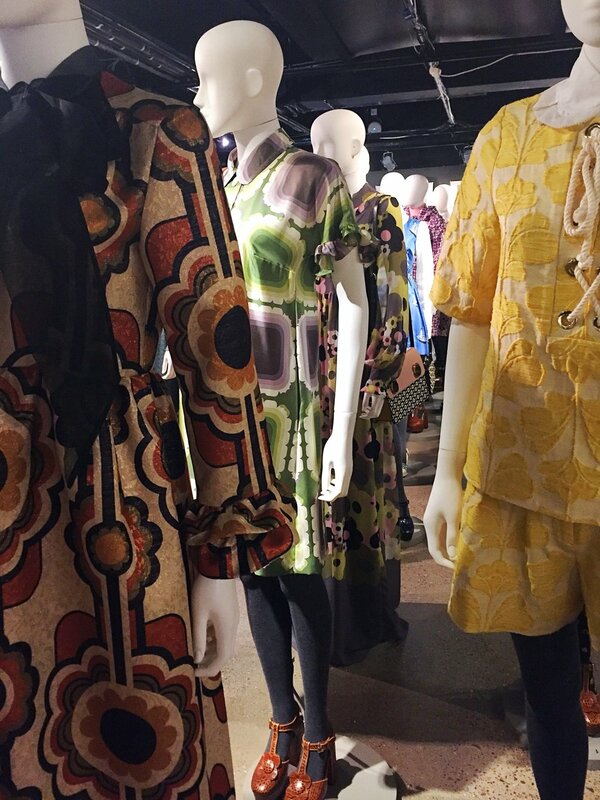 The exhibition is something of a visual feast and anyone with an interest in fashion, or pattern will just love it - I even had a turning a corner and gasping moment, which was nice (I won't spoil that one for you!). The designer's whole career is covered in the stylish, colourful and exuberant manner you would expect - I didn't know which way to look. If anything I came away having fallen for her work even more. Upon leaving the exhibition the shop is almost impossible to resist, as I'm sure you can imagine! 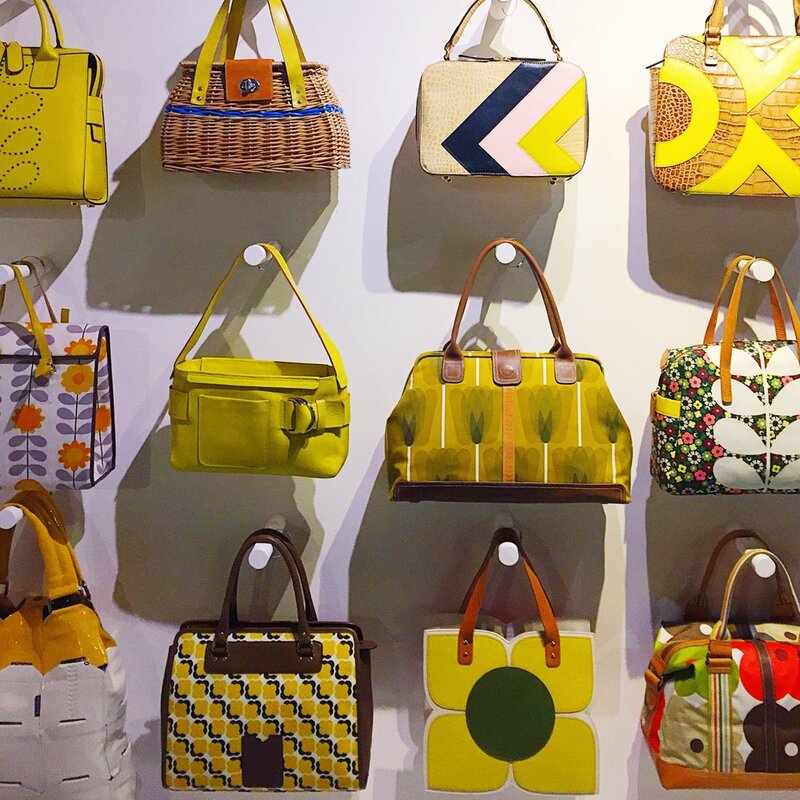 Orla Kiely: A Life In Pattern is at the Fashion & Textile Museum in London until 23 September 2018. A couple of weeks ago I attended an interview (which I'm pleased to say was successful), and as part of this interview process I had to devise and deliver a "micro teach" workshop to a group of 12 students (and the whole thing had to be completed in 20 minutes!). It was to be around the topic of fabric manipulation, and I sought out the fashion designers I most associate with sculptural and interesting work to see what I could come up with to base the session on. I settled upon this Spring 2018 collaboration between Viktor & Rold and Zalando and prepared handouts together with a couple of samples which you can see in the first image above. During the session I encouraged the students to play with the materials provided then go with their gut instinct and run something up quickly. Now this was partly out of necessity due to the time contstraints, but also because this is one of my favourite ways to generate ideas. 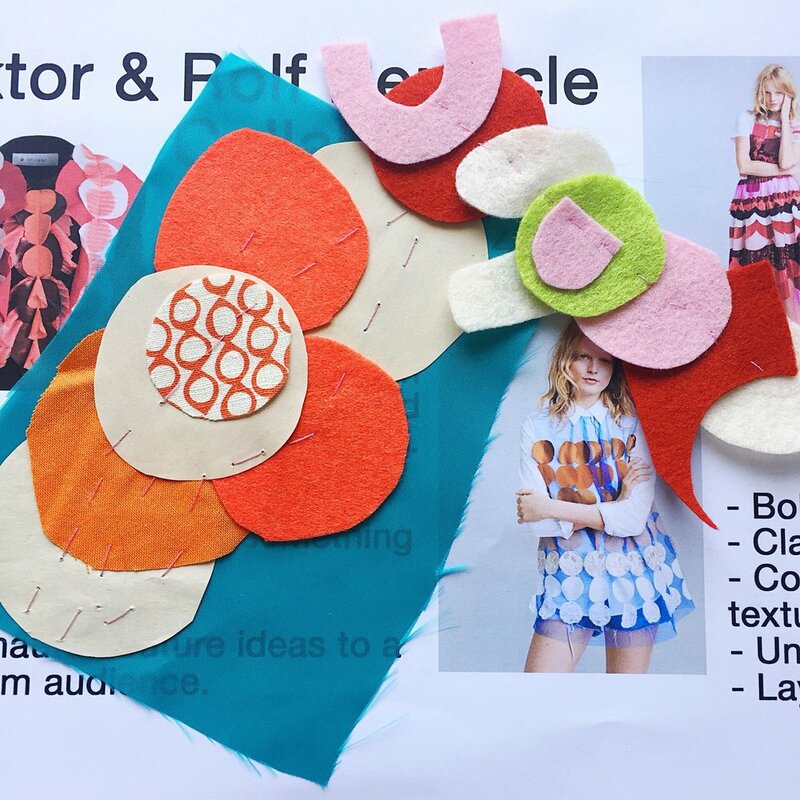 My preparations for the session led me on to play more with felt and look at how I could combine this with my fabrics once I got back into the studio. As you probably know, I'm not really doing products this year, but Open Studios are around the corner and I do need a few items! I ran up this cushion, inspured by my micro teach session to accompany some of the other new work I'll be showing at the end of next month. 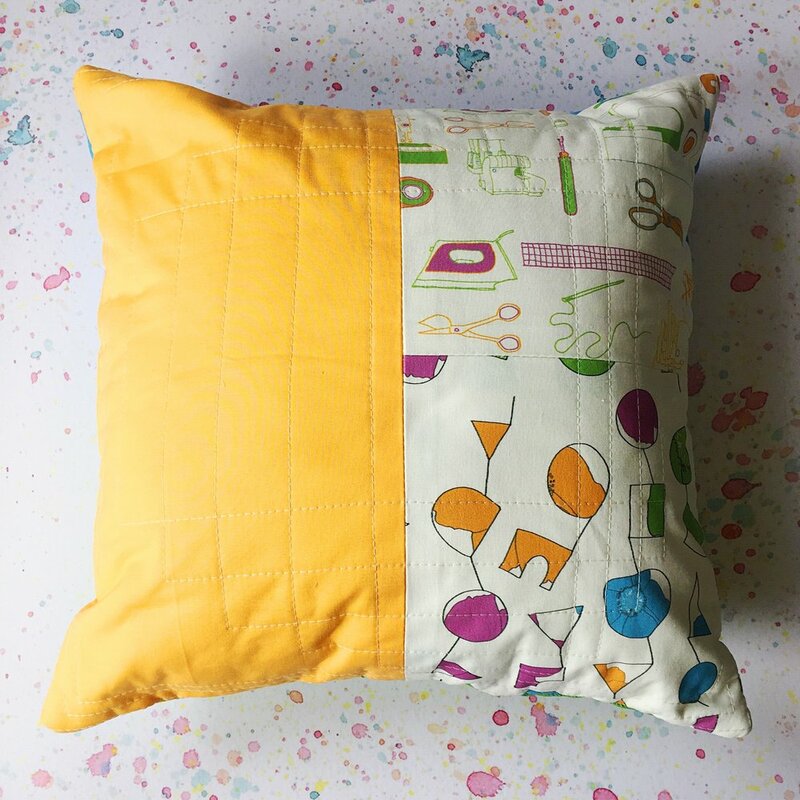 So I'll be bringing this baby along together with the quilted cushion I made to showcase my Spring fabrics, and the rather fetching sewing machine cushion which is a favourite of mine! 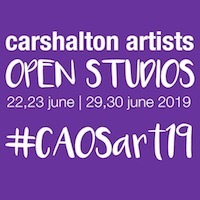 Watch this space for previews of more of the new work I'll be sharing at Carshalton Artists Open Studios this summer! Hello Leona! Who are you and what do you do? I run a subscription box business called Lucky Dip Club which is the home of super fun surprises by independent artists. We’re on a mission to bring colour, fun and positivity into the world whilst inspiring our subscribers to follow their creative dreams. I’ve always embraced colour and been drawn to the more playful side of design so being able to make a living producing the products that I love is fantastic. I’m obsessed with creating a shopping experience that makes my subscribers feel like a kid in a candy store. I also love discovering new artists and having the opportunity to collaborate with so many talented people and share their work with our community is really fun. I’m pretty sure the original Lucky Dip Club was the first box of it’s kind that I came across (much imitated, never bettered!). What inspired you to create it in the first place? Aww thank you very much! In 2006, I launched a range of colour themed Lucky Dip bags full of surprise jewellery and when I closed that business down 5 years later I had sold thousands of Rainbow Rebel mystery bags. I was looking to start a new business and the subscription trend in the beauty industry had caught my eye so I decided to mix the two and Lucky Dip Club was born! I’d LOVE to collaborate with Lisa Frank. Not only is she a kitsch powerhouse and forerunner of the unicorn, rainbow and neon trends but she started her business at the age of 24 in 1979 and still runs it to this day. So much to admire! We’ve literally just re-launched and our new website is online with new subscription packages - Lucky Socks, Happy Pins and My Rainbow Life. The plan over the coming year is to grow the Girl Planet community and turn Lucky Dip Club into a subscription box that’s fully community driven with the launch of our charity partnership programme. Exciting times! Thank you Leona! You can get your Lucky Dip Club fix here and follow on Twitter and Instagram. Hello Kayti! Who are you and what do you do? Hi! I’m Kayti and I am a photographer and designer and I self publish Caboodle Magazine twice a year! I live in York with my two doggies in a crazy bungalow full of tat! I think I just have this constant need to be creating. If I don’t have a project on the go I feel weird and without a purpose haha! So its great to come up with different concepts for shoots and the magazine is a great outlet for making my ideas a reality and getting them out there. What inspired you to start producing your own magazine? I think its something I had always dreamed of doing so when the opportunity arose I jumped at it. I’d never designed anything before so it was a massive learning curve that I went into rather blindly, but with a lot of enthusiasm! I also wanted to create something that was a great platform for showcasing the work of other creatives - makers, illustrators, writers and all manor of creatives. 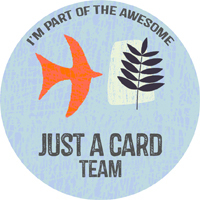 A way to shout about all the amazing things people do! I think the last two issues have felt like they had the look and feel of what I wanted to achieve and I’m really proud of what it has become! I think I’d go for Grayson Perry, maybe he could make a Caboodle themed pot or style one of our fashion shoots?! How cool would that be?! Well I’m hard at work getting the next two issues together, have got some brilliant features in the works that I’m so excited to share. My challenges are to increase the print run and distribution, run some craft workshops and social meet ups and build on the community side of things! You can find Kayti's own website here and the Caboodle site here. You can also follow her on Instagram, Pinterest and Facebook. Apparently some people are interested in the things I choose to wear though, so here goes! An array of yellow and pink - a love for handmade but also a terrible (very long standing) addiction to Boden. Here's my mood board - details below. 1. My new winter coat. It might not be warm enough in winter itself but we'll see. It's lovely now and is this one from Boden. 2. These trainers are very similar to mine (which are predominantly grey with bright orange laces and bits down the side - last season though). I really don't get on with heels. I'm also a Clarks addict - here's these lovely orange ones. 3. Anyone who knows me will be fully aware of my I Am Acrylic problem... Here's just one brooch from my collection, featuring my fave Battersea Power Station. 4. Me on the Blogtacular photowalk. Wearing the dress at number 6 below, a brooch from And Smile (she doesn't make them anymore!) and my yellow Boden rain mac (2 years old). 5. Me in a laundrette in West London. I'm also a fan of the 1950s style dresses from Lindy Bop. 6. I have several things from the lovely Germana of Gira e Rigira - I just need the pound to strengthen a bit before I buy more! This is the pink dress I live in. 8. I have a beautiful Donna Wilson scarf which my friend bought me for Christmas last year (so it's last season's and no longer available). This is the one I'd choose if I were to get a new scarf now. 10. Winter wardrobe. The red coat was bought at a Hobbs outlet shop about 3 years ago and it's warm, and lovely. The skirt was made by me using Lotta Jansdotter fabric and a pattern from the Tilly & The Buttons Book, the shoes are these ones from Clarks and the tights were from H&M (a couple of years ago). 11. Another (more recent) purchase from Gira e Rigira - It's pretty short so I've been wearing this crop top over a black dress. I'm way too old for a bare midriff (and it's too cold now anyway!). 12. No clothes roundup would be complete without a yellow cardigan! I have 5. I don't have this one though and I'm eyeing it up - another from Boden. The Great British Sewing Bee returned to our screens a week ago (so that means it's on tonight at 9pm on BBC 2 - squeeee!) and my need to sew has returned. In a way it's worse this year - the new, later time slot hasn't been popular with everyone but it actually works much better for me - so no more watching it on catch up, and I can follow along with everyone on twitter. I obviously now want to get cracking on, so I decided to have a sort through the things I already have. So here's the to do pile. I've included my old pattern cutting book from college here as I'm thinking that I'd like to alter some of the patterns, and it'll hopefully remind me how to. It's going to be a combination of Liberty print and a solid green fabric. Next up I think I need to make myself a new Tilly & The Buttons' Coco - the first one I made was really a toille as the fabric I used was so light weight it was silly. I need a heavier weight version but again a dress, and I think sleeveless for the summer. I also want to make the Megan dress from Tilly's book. And finally, Merchant and Mills' Trapeze dress - bear with me on this one. Mr M thinks this looks like a mumu... I'm thinking of making a sleeveless version in a heavy-ish plain fabric to wear as a pinafore (so possible neckline alteration and armhole shaping). They do a little girls' pattern similar to this which looks divine and I'd really like that, just in a grown up's size! It's Spring 1994. I'm about to embark on my GCSEs, I have a new boyfriend, the sun is shining, and most importantly I have that place at art college (unless I completely fail my exams which I'm pretty certain I won't - and I don't). Seen in my mood board above with some of the things it inspired at the time - my final collection (top left) and my sketchbooks for a range of projects (bottom left). I think I drove my fellow students nuts with my love of Bella Freud. I would not be moved. The whole thing came to a climax though in (I think) the spring of 1995 when I was still a first year. We went on a trip to London for the week and the second years were heading off one evening to Kingston University to attend a lecture, with Bella Freud. I didn't get the chance for jealousy though as my tutor took me to one side before they'd even announced it to let me know I could go with them - the only first year - as I was such a huge fan. The condition was that I had to ask a question, then talk to the rest of the first years about it afterwards. I was in (albeit mildly terrified!). I can't remember what I asked her, but I recall her being really lovely and massively shy of public speaking (she probably isn't nowadays as she's had years of practice!). I also remember her wearing this amazing blue jacket/beige scarf combi which I spent the next couple of years attempting to emulate. I even got to speak to her briefly at the end of the lecture. Meeting her definitely didn't dampen my love and she's continued to inspire me to this day. The collection above though still has to be my favourite (if you're not sure you remember it think of Kate Moss in a black and pink tasseled bikini - it was that one). Looking at the colours above, it's funny how they bear a striking resemblance to my Instagram at the moment!